They left promising careers in fields such as real estate, communications, human resources, civil engineering, and even linguistics – and chose to make Aliyah. 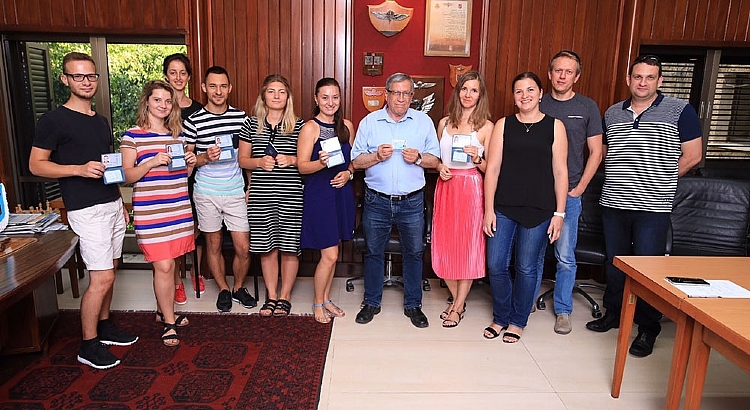 A group of MASA participants, young adults in their 20s from the former USSR, made Aliyah in recent months to Ramat Gan, a city that absorbs, integrates, and embraces new immigrants. Last Thursday, the 13th of July, 17 new young Olim, all residents of Ramat Gan, received their Israeli IDs at the Ministry of the Interior on Bialik Street. 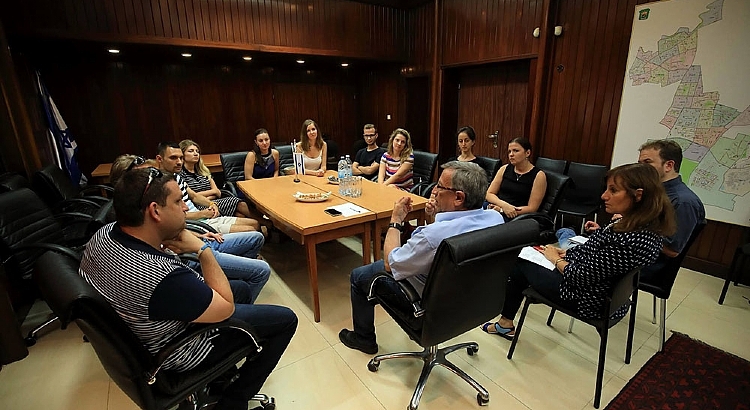 On Monday the 17th of July, the mayor of the city, Israel Zinger, met with the new Olim in his office and wished them success in their new lives in Israel. Zinger thanked the municipality’s Olim Department, headed by Alex Shmidt, for organizing the meeting at his office and shared the story of his Aliyah to Israel from Romania as a young boy.